Many people don’t eat breakfast, perhaps because they don’t have time or would rather stay in bed a bit longer. But what many people don’t know is that breakfast is the most important meal of the day. Your body needs energy and nutrients in the morning in order to start the day. Research shows that people who eat breakfast every morning often have a healthier weight than those who don’t. Eating a healthy breakfast kick-starts your body and enables it to better digest the food it receives during the rest of the day. It also promotes regular bowel movements, certainly if it contains plenty of fibre.If you don’t eat breakfast, it is highly likely that you will get very hungry later in the morning and therefore be tempted to grab an unhealthy snack. That would be a pity, of course. Not eating breakfast can also result in various physical complaints. 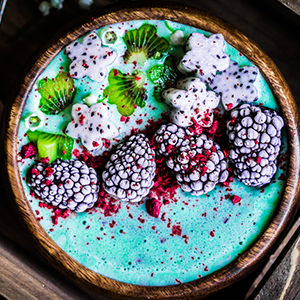 Studies have shown that people who skip breakfast for a period of 12 months often have higher cholesterol levels, higher LDL levels and too high insulin levels. This can lead to cardiovascular disease and increase the risk of diabetes. Several studies have shown that people who do not eat breakfast, or just make do with a cup of coffee, perform less in short-term memory tests compared to those who do eat breakfast. A good breakfast also helps you to study better and increases productivity at work because it makes you more alert and gives you more energy. Besides all the advantages for your body and mind, eating a healthy breakfast has a positive effect on your mood. You’re more energetic and eating breakfast can also prevent grumpiness in the morning. ? 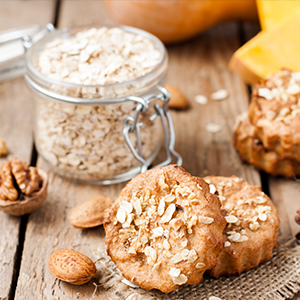 Oatmeal-banana cookies are delicious as a snack, but are also perfect for breakfast. They are healthy, delicious and ready in no time! Take the time now and then to have a really good breakfast of vegan pancakes (e.g. 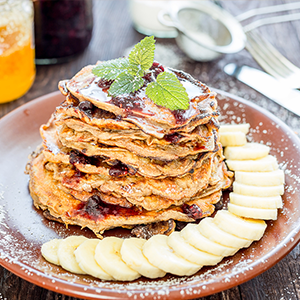 banana pancakes) served with fruit and soya or coconut yoghurt. Oatmeal gives you a good start to the day and keeps you feeling satisfied for longer. It also provides a stable source of energy and helps keep your blood sugar levels stable. What’s more, you can easily take it with you! First, make a delicious smoothie and pour it into a bowl. 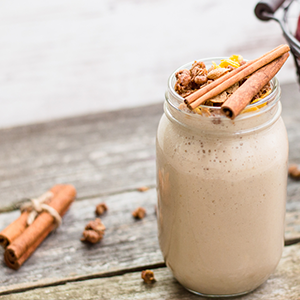 Scatter a mix of fruit, nuts and seeds over the smoothie. You can – be as creative as you like.